Choosing what you want to study after leaving school is one of the most important decisions that you will make, and we know that prospective students and their parents generally make these decisions based on three key factors - choice, quality and student feedback – all of which are recognised strengths of this College. We offer a wide range of A Level and vocational options so please take your time to browse through our courses to see what suits you best. Why not come along to our Open Evenings to find out more about studying with us. Come along to one of our open evenings where you can speak to college staff about the course options available and see the facilities on offer. 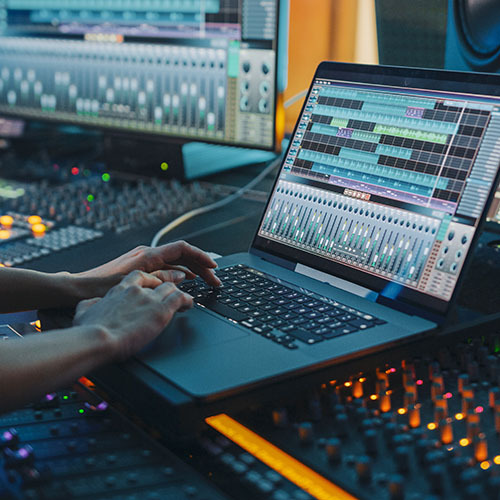 All pupils attending schools within the City and County of Swansea must make online applications for their post–16 choices via the UCAS Progress website. We will acknowledge applications on this website. All communication from us from then on will be made via email. Please ensure that your email address is filled out correctly in your online application. If you do not have an email address we will correspond with you by post. Please note the college will not be able to accept paper applications from these pupils. For all other applicants, you can apply online or, you can complete a paper application form. For online applications all communication from us will be via email so please ensure that your email address is filled out correctly. We would encourage all applicants to apply electronically via the website. All communication from us will be via email so please ensure that your email address is filled out correctly. If you don't have an email address we will correspond with you by post. You will be invited to an interview – this may take place at your school or at the college. This is an opportunity for us to get to know you and for you to ask questions about the college. During your interview we are looking for a real interest in the course you are applying for and evidence of commitment to your course, which may include work experience, hobbies and interests. You will be given a date and time to come to the college to enrol. Where the offer of a course is conditional on you gaining the relevant entry qualifications you will be invited in following the GCSE results in order that your course can be confirmed. Keep your appointment, no matter what your grades! If you don't attend, you are at risk of losing your place. College staff will be happy to talk through your options if you are not completely sure about the course you have chosen. You will come into college for an induction session before the start of term. 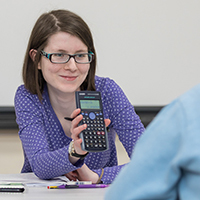 This is designed to help you settle into the college, meet your tutor and other students on the same course. You will receive your timetable then and be given information to enable your transition to college be a smooth and happy one. 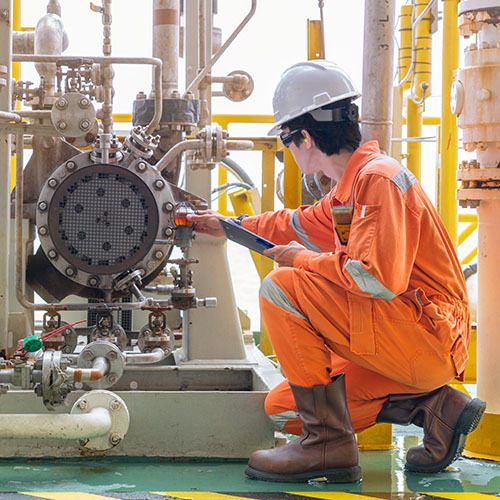 What type of course is right for you? 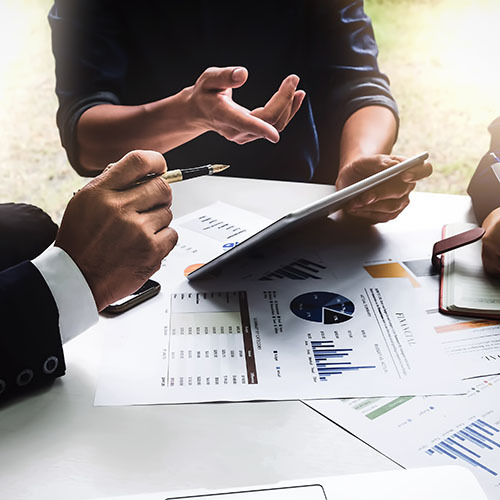 Assessment: some courses have exams at the end of the year, some courses are assessed purely on coursework, and other courses have a combination of both exams and coursework. 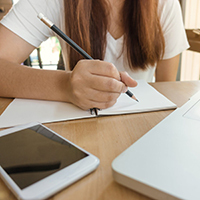 Assignments: don’t forget to ask about the amount of assignments you’ll be expected to complete, particularly if you opt to study three or four A Levels. Extra work: some courses will have work placements, educational visits or out-of-hours projects so check at the interview stage. Costs: some courses will have additional costs for things like uniform and equipment so make sure you ask. A Levels are generally studied over two years and are split into two parts. The first year is known as the AS Level, with external assessment at the end. You then move onto the A2 Level in the second year, with more exams to gain the full A Level Award. 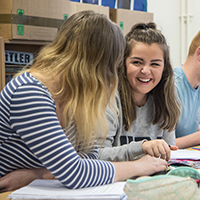 We offer around 40 A Level subjects at our Gorseinon campus. 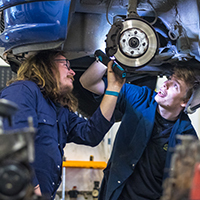 Our vocational courses are designed to lead to specific careers so if you know what job you want to do when you leave college, these are for you. There are different levels so you can slot into the one that’s best for you, with the opportunity to progress onto the next level. 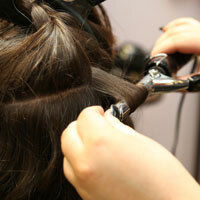 We offer BTEC, NVQ and City & Guilds qualifications. Do you want to earn while you learn? 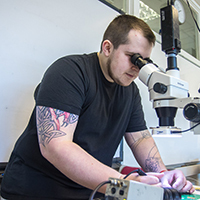 Apprenticeship programmes are funded by the Welsh Government and give you the opportunity to gain experience and qualifications while you are working – what’s more, they won’t cost you a penny. 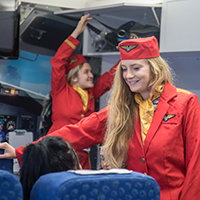 We’ve got almost 30 different career routes to choose from. 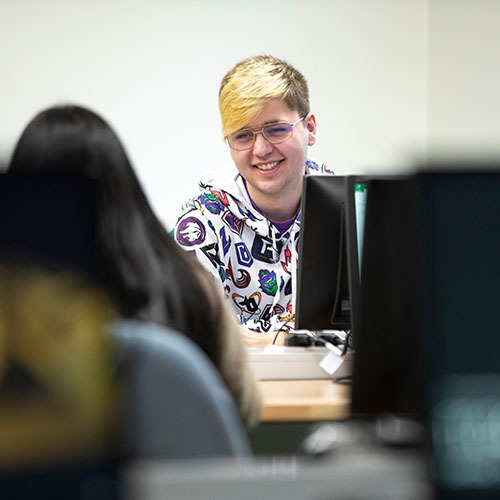 The Gorseinon campus accommodates more than 2,000 full time students who have access to over 40 A Level subjects and a wide range of vocational courses. 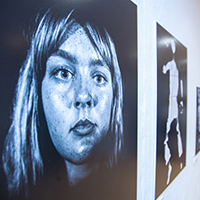 Students can explore a diverse range of areas including art and design, fashion, fine art, graphics, media, photography and music at Llwyn y Bryn. 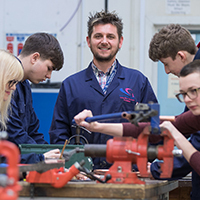 Tycoch is a bustling and vibrant base for students on a wide variety of vocational, access and apprenticeship courses. Jubilee Court is home to apprenticeships and construction courses such as painting and decorating, brickwork, carpentry and plastering. 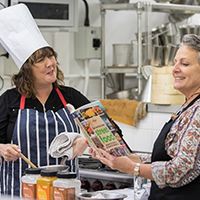 We want your time at the college to be as interesting and varied as possible. As well as your studies, you can get involved in a range of other activities that will not only give you the chance to meet lots of new people but also improve your CV for when you apply for a job or go on to university. 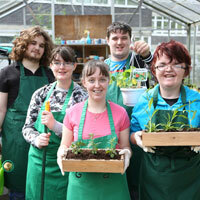 Activities include team sport, events, Student Council, fundraising, societies and enterprise activities. Have a root around student experience to learn more. 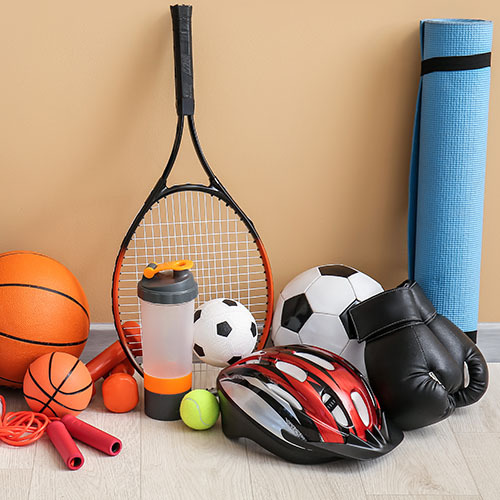 Our sport academies give you the opportunity to excel in your chosen sport with coaching and elite level competition in five areas – cricket, rugby, men's football, ladies' football and netball. All training is built into your academic timetable. Our teams regularly win regional and national competitions, with many of our students gaining professional contracts and selected for international teams. 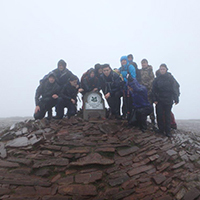 You can combine the Welsh Bac qualification with your studies to add 'real life' experience. 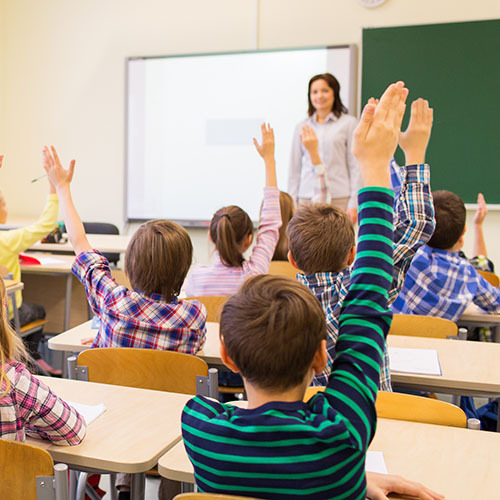 There are no exams and it develops your personal and academic skills as well as encouraging independence. 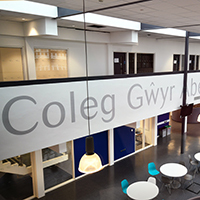 It is not compulsory to study the Welsh Bac at the College. 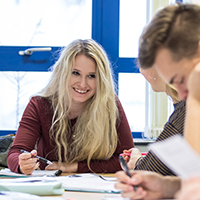 Find out more about the Welsh Baccalaureate. 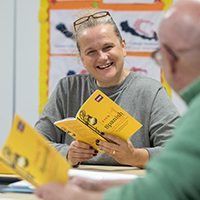 The Welsh language is as important to us as it is to you so we’ve gone the extra mile to make sure that you can use your Welsh during your time with us. 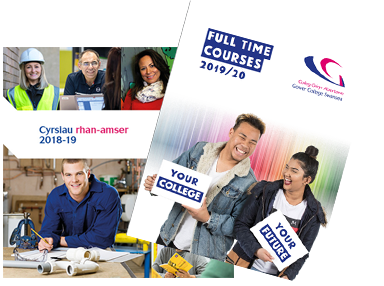 Make sure you tell us early on what language you want to receive college correspondence in, we’ll even arrange for you to have your interview in Welsh. 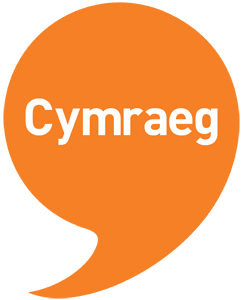 Some of our courses have the option of Welsh-medium modules – look for the orange speech bubble symbol in the course description. There’s a session during induction week to tell you all about the opportunities, events, activities and services we offer in Welsh. You can submit your work in Welsh, even if the course is delivered in English. We’ll arrange translation. We offer a peer mentoring training service in Welsh as well as the support to develop your study skills as a Welsh speaking learner. And don’t forget to join the Welsh Society during Freshers Fair to enjoy extra-curricular activities.